After a beautiful day celebrating our fourth year anniversary in Cornucopia, Wisconsin( Which is a little Lake Superior beach town in Northwestern Wisconsin). Mark and I visited a couple of shops that were on the dock, and as we rounded a corner, we discovered Halvorson’s Fisheries. Once you enter the shop, your able to see the employee’s cut and score the fish that had just been caught before we came in. 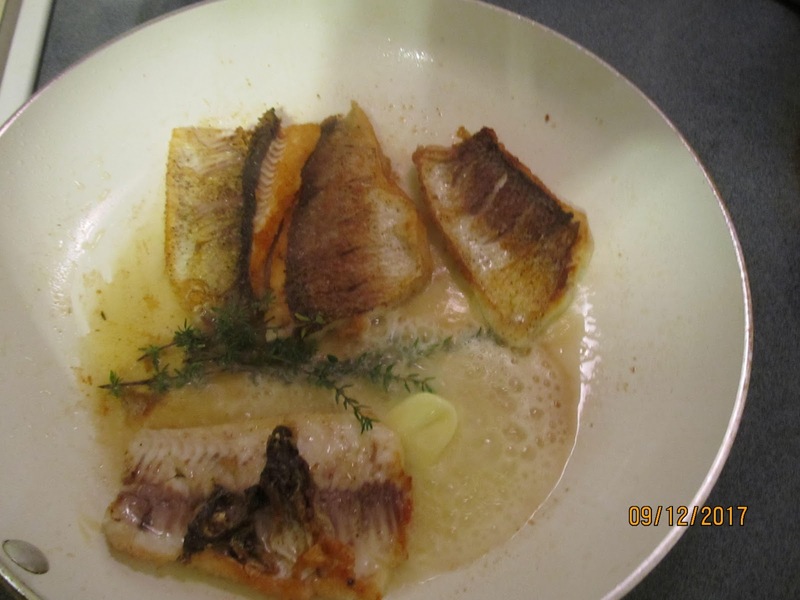 We bought four white fish fillets and a few other fish snacks, most people go out for dinner on their anniversary, but we like to cook at home and what better way of showing love for each other is by cooking together and this is our ” White Fish In Lemon Sauce”. Here is our recipe in case you want a easy recipe to make or its even better when you make it with the love of your life. 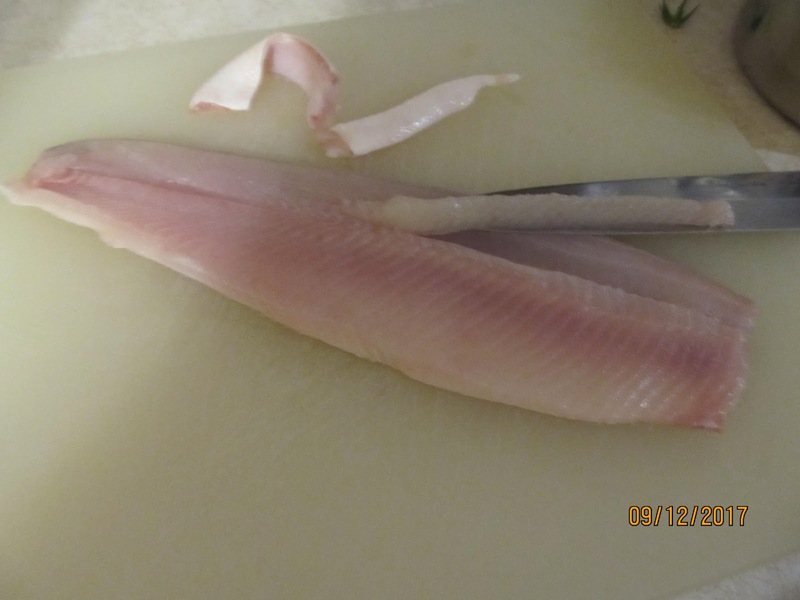 *Prepare the fish by scoring skin side of fish and cutting out the pin bones, or if you don’t mind bones you can leave them in. Season with the salt and pepper. Heat pan on medium high heat. – Add fish, skin side down first. – Cook for 2-3 minutes til brown and crispy. 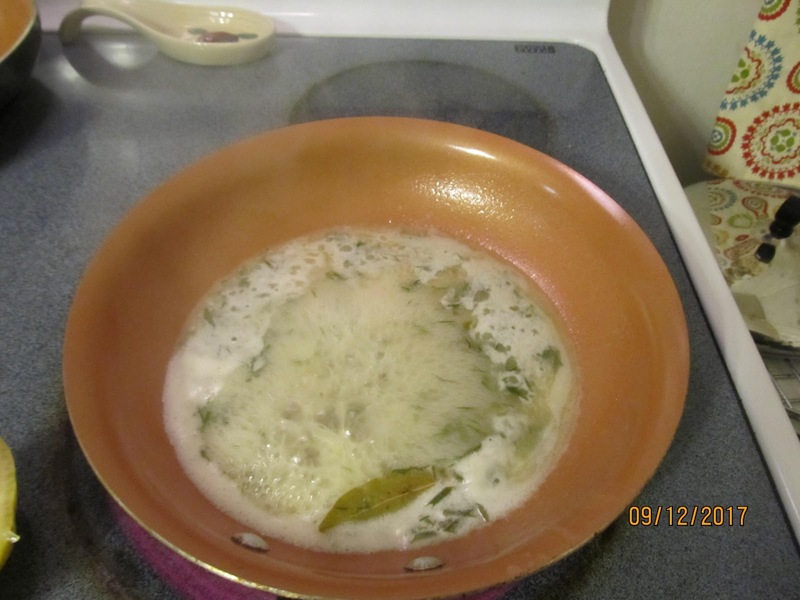 – Flip fish over and add thyme and a little more butter. 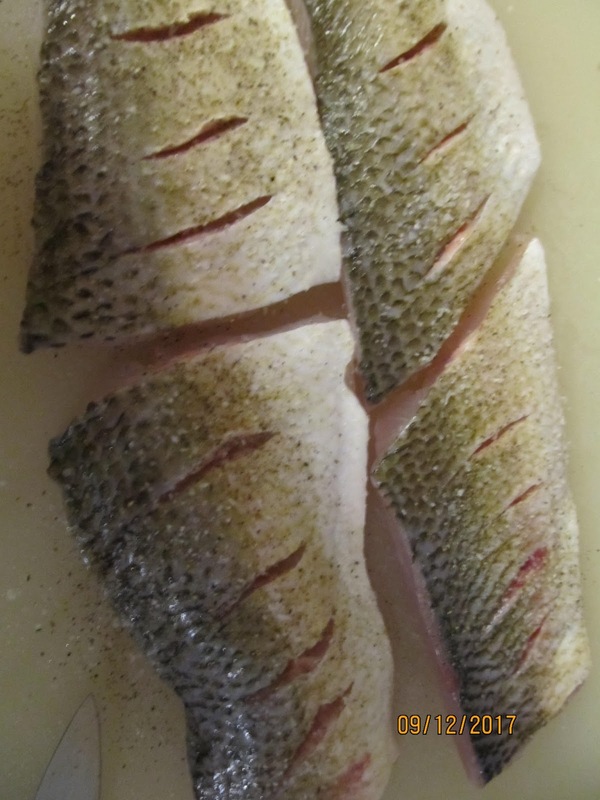 – Cook one minute or until fish is cooked all the way through. 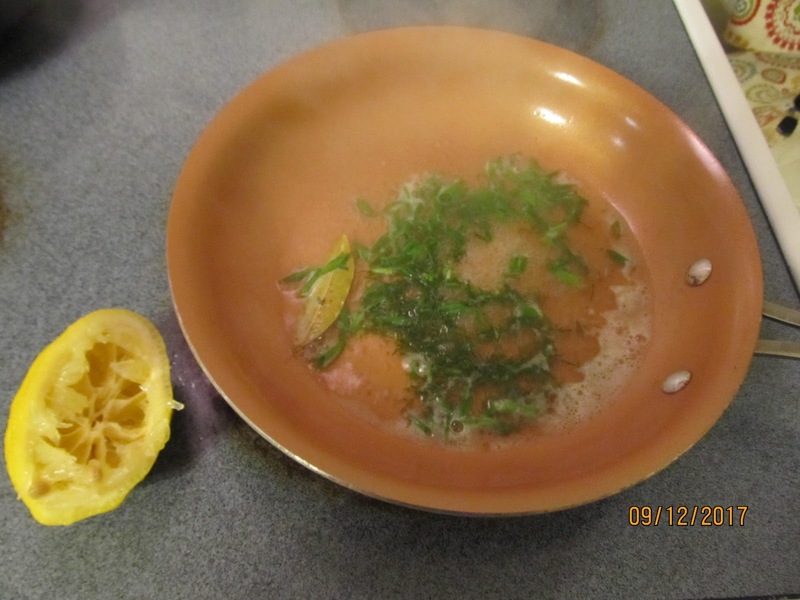 – Heat wine, Bay leaf and lemon juice and reduce by half. 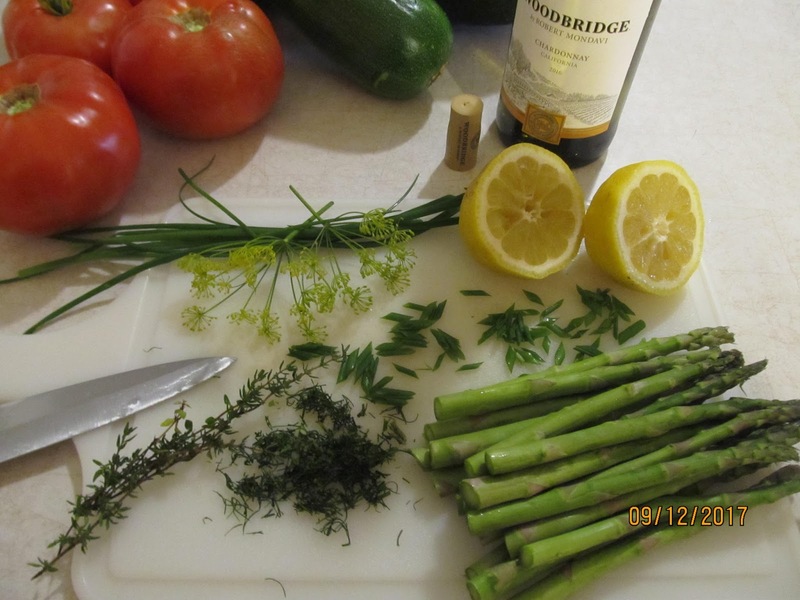 – Then add fresh dill and chives and butter. – Mix until the butter melts and combines. 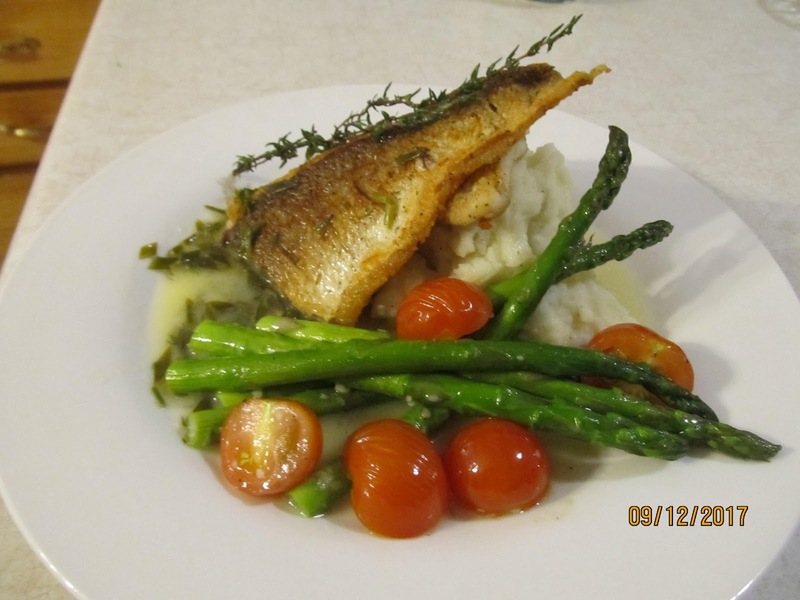 – Serve over the fish once you have it plated. I hope you enjoy it as much as Mark and I did. My son has been doing a lot of fishing and just offered us some! Thank you for such great recipes!